What? 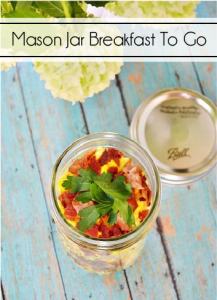 A Friday post At the Picket Fence?? I know, I know! It’s not something we do very often around here but there just aren’t enough days left until Christmas for us to show you the rest of our decorating/crafts/projects/recipes/etc. And, how could I not give you a proper welcome to my home during this most welcoming time of the year? You see, I know that you will appreciate the fact that I have a frame hanging on the front door. Unlike the man at the thrift store who asked what I was going to do with that “lovely” painting I had in my hands. And when I informed him that the “lovely” $3 work of “art” would be removed so that I could paint the frame and hang it on my front door he gave me that look. You know the one I’m talking about, right? All DIY’ers/Thrifters/Bloggers/Re-purposers get that look. The one that makes you feel like maybe you are crazy. 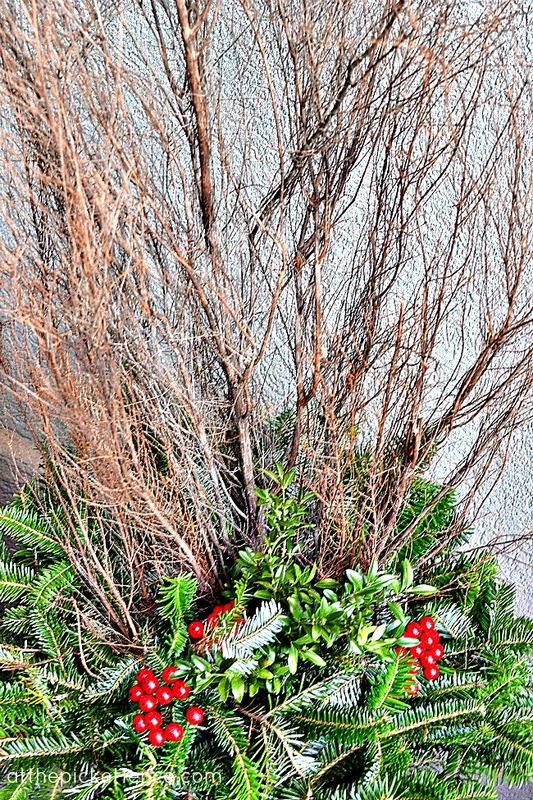 Maybe that $3 work of “art” with the paper palm trees on it really is beautiful and you would be nuts to want to toss it in the trash just so you could frame your Christmas wreath. But, beauty is in the eye of the beholder after all. So the paper palm trees had to come out and the painted frame had to go up on the door along with a fresh wreath and red satin ribbon. I’m sure if that man at the thrift store could see it now he would fully appreciate my vision, don’t you? Especially if he saw that my vision also included this “Merry Christmas” vinyl decal from Leen the Graphics Queen. 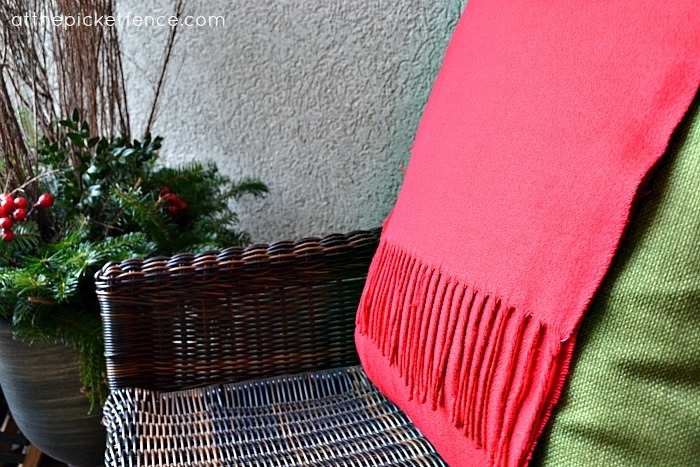 I’m not sure though that he would have understood why I used inexpensive red scarves to add a pop of Christmas cheer to my chairs. I’m fairly certain that his heart wouldn’t go pitter patter at the sight of that fringe all perfectly lined up like little soldiers. And why, he would wonder, would you have a sled whose only purpose is to hold sweet, little pretend mittens? I don’t think even the glittery details and the fur trim would impress him. But that man from the thrift store would easily make friends with the gal at Trader Joe’s who asked what I was going to be doing with the Cinnamon Broom I was buying. When I told her I was going to pull it all apart and stick it in an urn along with fresh greenery she too looked at me like I needed to go buy some marbles to go along with the cinnamon broom…you know…since I had lost my marbles…get it…ahem…moving on! But, they both surely would notice that when you step up on my front porch the spicy smell of cinnamon is the first thing to greet you and only adds to the Christmas-y welcome. And, that feeling of being warmly welcomed surely is what makes the biggest impression after all, isn’t it? 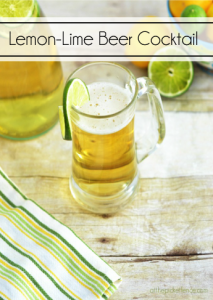 Thanks so much for stopping by the Fence on this Friday and don’t forget that the Inspiration Friday party is still going strong and there is plenty of time to link up below! 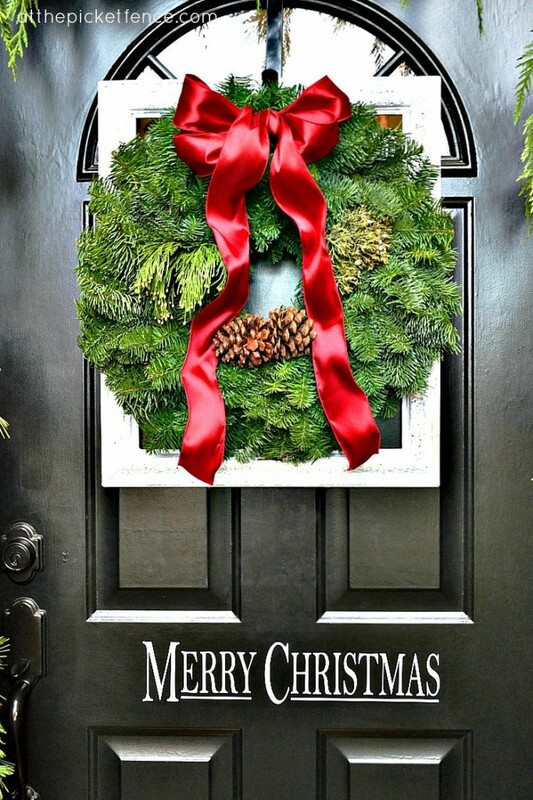 23 Comments on "Framed Christmas Wreath and Front Porch Decor"
Lol! I think it’s funny you got the look from a woman but the guy I can understand. But if they could see your porch they wouldn’t give you the look anymore. It looks amazing! Love it all, the wreath and frame are my favorite though. How warm and welcoming! Vanessa – Your front porch is just breath-taking!! Beautiful job! WOW! Just beautiful…it popped off the page Vanessa! Great photography & that scarf idea…I’m stealing! Fun post! Sometimes others just don’t get the “vision” that we have, but they both cculd not dispute how beautifully everything turned out. great work!! This is gorgeous! 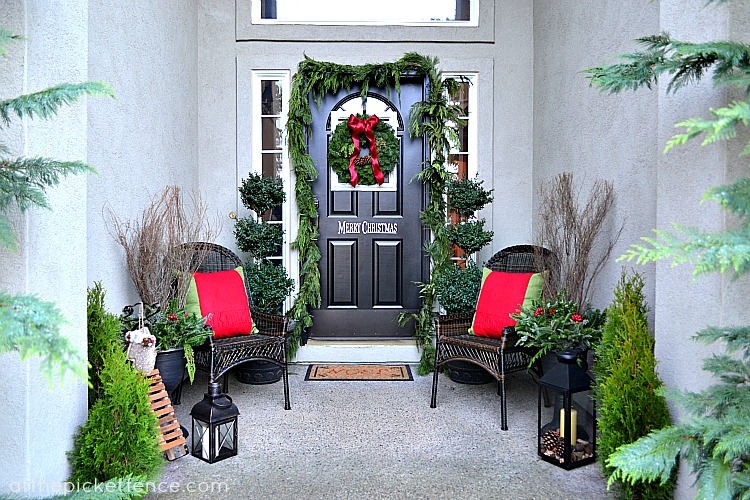 I especially love the framed wreath! I’ve gotten that look before too… so funny! Vanessa, your front entrance is wonderfully welcoming and festive! I love all the little touches, especially those that Mr. Thrift Store Man and Miss Trader Joe’s Gal can’t fully appreciate! My fave detail are those mittens, I can’t stop looking at them! Everything goes so well together, and the photography truly helps to show off how fresh those greens are! 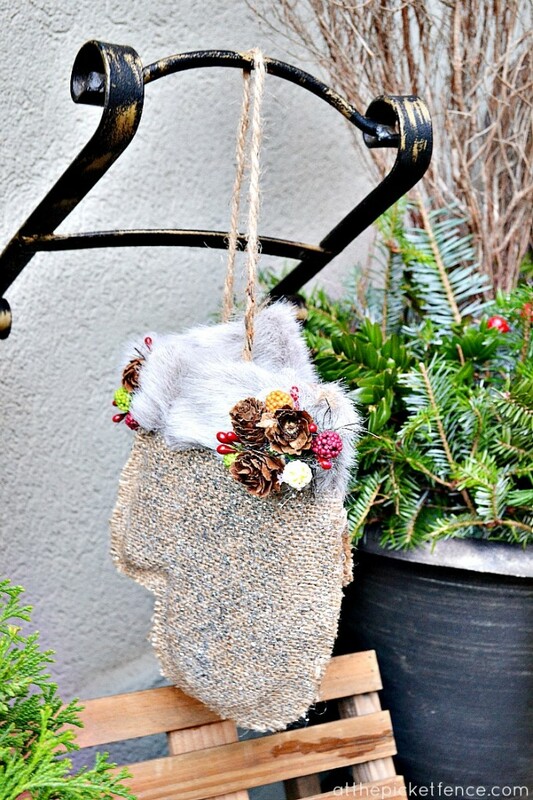 Love the idea of having a pretty Christmasy scent to greet people as they arrive too! Some people just don’t get it, but we sure do! 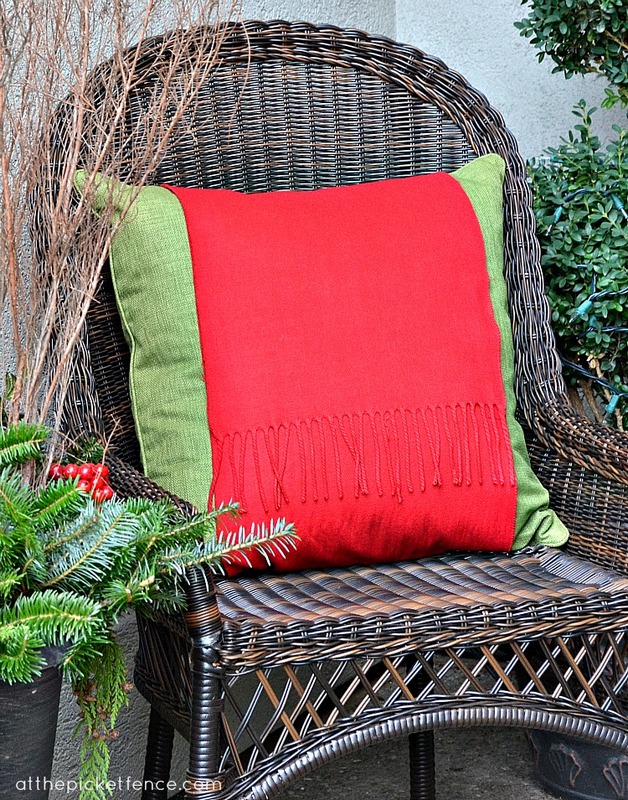 The frame and wreath look outstanding and I really like your pillow idea…so very festive. let me just say FABULOUS!!! Oh, I know THAT look well! Your porch is so fabulous, Vanessa. I’m having to try hard not to get blogger envy. My porch is sooooo sad this year with its lone wreath (pretty, though it is) that I hung only yesterday. What a visual treat to share yours! Oh, and the “soldier” fringe? YES, I noticed it — and loved it right away. If that makes us both strange, at least we have each other! Enjoy your weekend, friend. I admire the ingenuity that came up with dismantling one of those brooms to use in your urns. Wondering if the original thought was for the fragrance or was it a way to get the necessary sticks? The porch is a striking study in color against the black and gray. Oh my gosh. This is perfection! I love it all. The scarves on the pillows is brilliant by the way. Would you mind sharing what you are doing to your photos? They are really pretty. I tried the curves action you suggested in Picmonkey but I’m not having much luck. Hope all is well…happy weekend Vanessa! Maybe the guy from the thrift shop and the gal from Trader Joe’s need to go on a date – seems like they are a perfect match!! 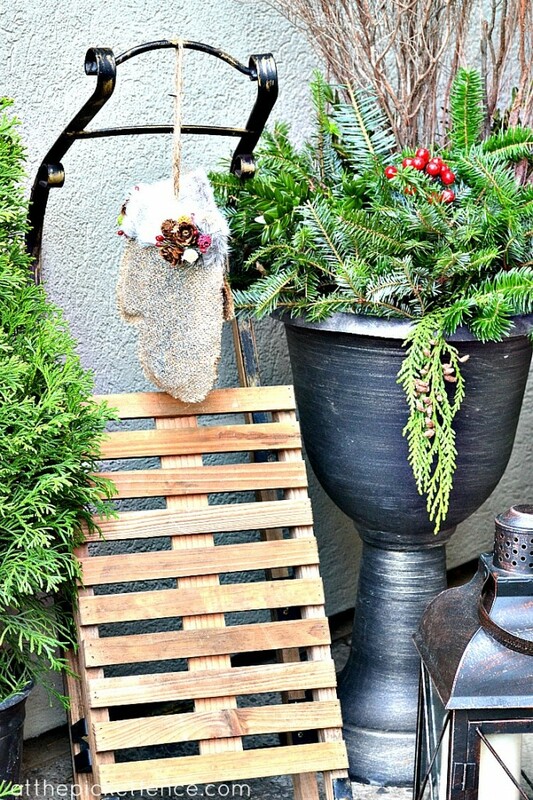 Love the brooms in the urn – such a great idea! I was directed to come here by my mom over Sunday dinner and see this post. I always do what Mom says, you know. Yep. Just as pretty as she said it was. Vanessa your front porch looks AMAZING!! 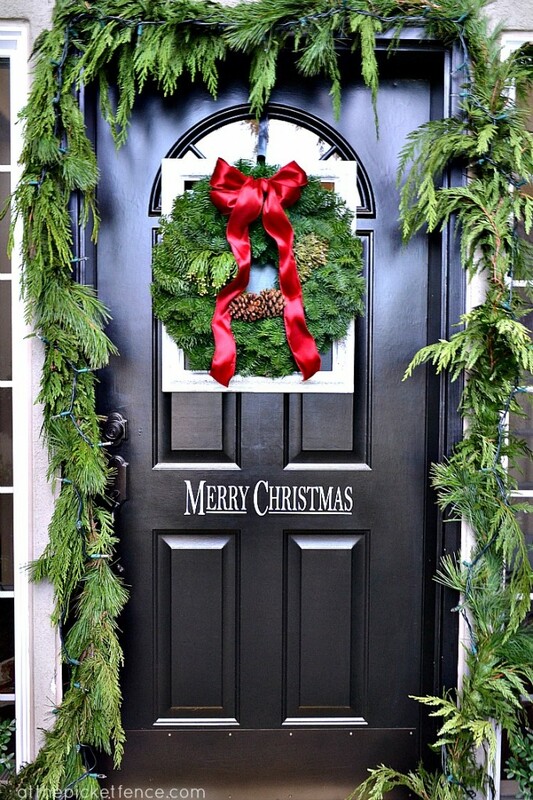 LOVE LOVE the wreath in the frame on your door and I love how you added Merry Christmas too! What a welcoming entrance! 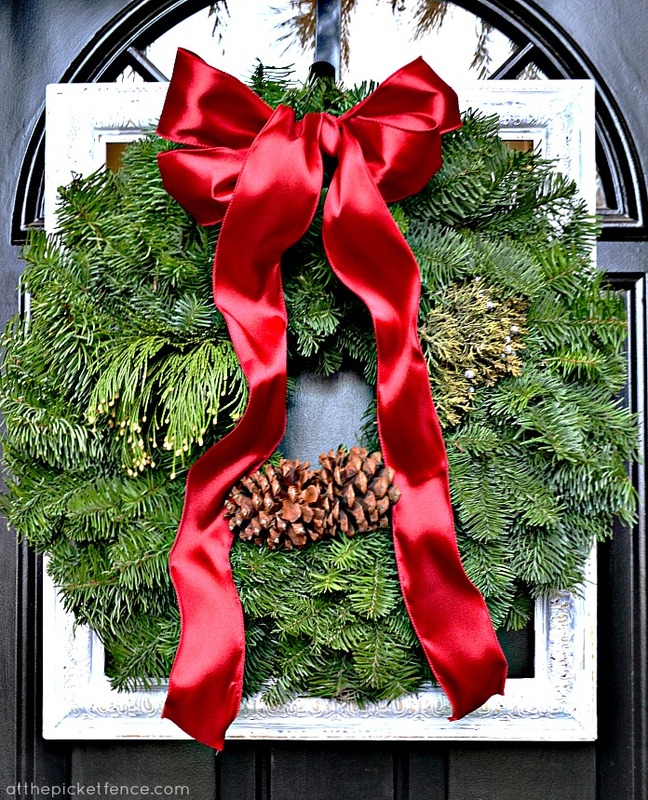 Love the picture frame behind the wreath — so clever! Hope you ladies have a fabulous holiday! This is so beautiful. 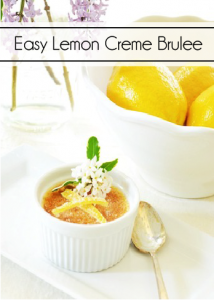 And, when you can do it in a thrifty manner, it’s even better in my book. So festive & ready for the holiday. I do have a question though. Are you willing to share the color of your front door. I think it’s just gorgeous. Thanks for sharing this & telling us how you did it.